Definition at line 126 of file d3dnthal.h. Definition at line 130 of file d3dnthal.h. Referenced by dump_D3dDriverData(), and GetD3D9DriverInfo(). Definition at line 131 of file d3dnthal.h. Referenced by dump_D3dDriverData(), DxDdQueryDirectDrawObject(), GetD3D9DriverInfo(), START_TEST(), and test_NtGdiDdQueryDirectDrawObject(). Definition at line 129 of file d3dnthal.h. Definition at line 127 of file d3dnthal.h. 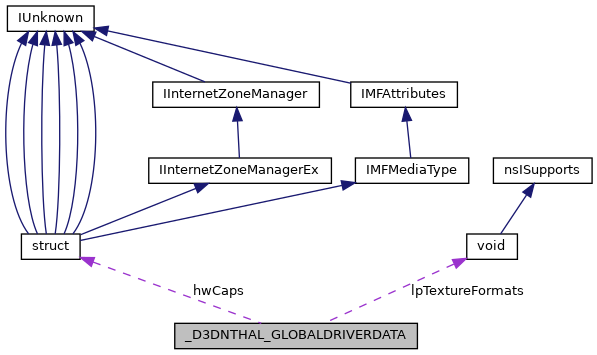 Referenced by dump_D3dDriverData(), intDdEnableDriver(), START_TEST(), and test_NtGdiDdQueryDirectDrawObject(). Definition at line 128 of file d3dnthal.h. Referenced by dump_D3dDriverData(), GetD3D9DriverInfo(), and START_TEST(). Definition at line 132 of file d3dnthal.h. Referenced by dump_D3dDriverData(), and DxDdQueryDirectDrawObject().